Garcia McCall, G. (2011). Under the mesquite. New York: Lee & Low. Personal reaction to the book: This is a book of blank verse about a girl growing into a woman on the Tex-Mex border; losing her mother and coming to grips with it. The book is well done: It is easy to read, with nuanced messages throughout, as opposed to many young adult titles that abandon the depth of their story for getting a clear morale to the reader. It’s more remarkable because it is a debut novel. Author facts: With her first two books published, she is still teaching English in San Antonio, Texas. 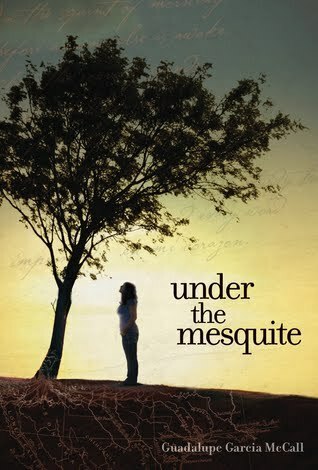 Her early life follows at least part of the plot of Under the mesquite, as her family moved from Mexico to Texas when she was six. She lived for many years in Eagle Pass, Texas, where both of her novels are set.